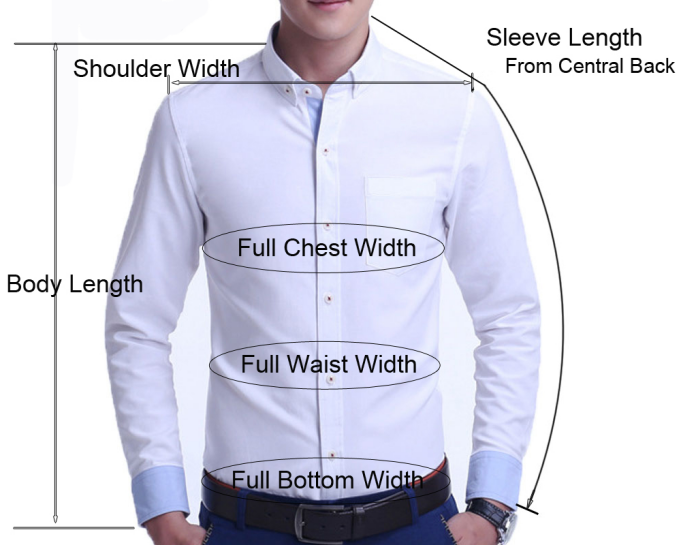 Online shopping for Mens Dress Shirts can be difficult when you don't know what size you wear. This guide is here to help you find clothes that will fit. For accurate measurements, make sure to measure over bare skin or your underwear. Once you're finished measuring, check our size guide to find the correct sizes.